For the last several days I have been thinking about writing a blog post about one of my favorite areas in the world. The problem with writing about "favorites" of anything is that that words don't always measure up to the affection you have for your topic. A year and a half ago, in a moment of "less than brilliant but slightly more than imbecilic" I decided to start a blog. In January of 2011, I wasn't yet aware that because of my blog, I would meet some people online that would become FRIENDS. Yes, actual friends. One of my early readers was young woman (way younger than me, but then....who isn't?) named Jewell. It turned out that Jewell and I share a similar sense of humor (you find that surprising that I have a sense of humor?? ), our disdain for moronic behavior, our interest in reading odd news stories, our sarcastic and cynical take on nearly any topic, ...and the beauty we find in the area of the Ozarks. Jewell has the good fortune to travel around the Ozarks taking pictures and the added good fortune of being a very (I can't emphasize this enough) VERY talented photographer. Her pictures bring me back to the region "in spirit" far more often that I physically get to go there for visits. She recently sent me some pictures from the area of Blanchard Springs, Arkansas. 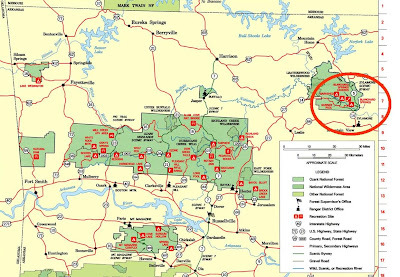 Before I show you those, perhaps you are curious as to what the geographical area that is considered Ozarks and where Jewell went on her picture-taking excursion. 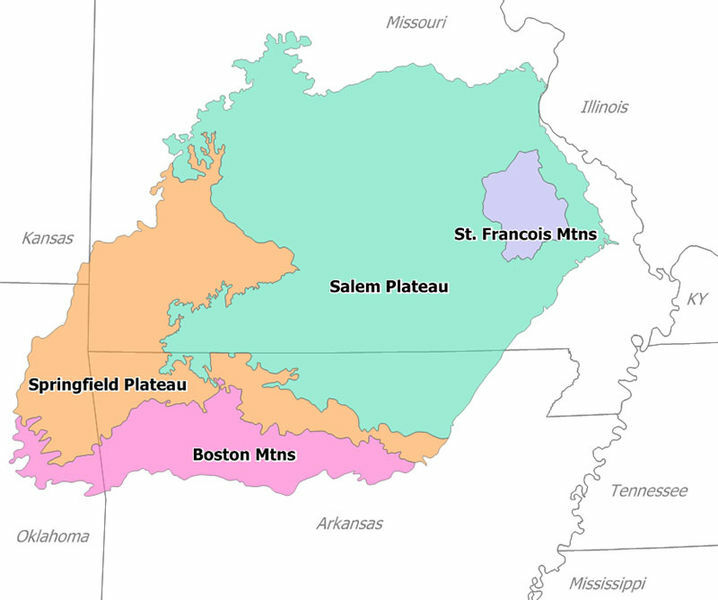 While some people refer to that area as Ozark Mountains, the region is actually comprised of a dissected plateau that is surrounded by some small mountain ranges. The bulk of the Ozark region is in southern Missouri and northern Arkansas. Columbia Electronic Encyclopedia gives a fairly concise description of the Ozarks. The Ozarks or the Ozark Plateau, upland region, actually a dissected plateau, aprox. 50,000 sq mi (129,500 sq km), chiefly in S Mo. and N Ark., but partly in Oklahoma and Kansas, between the Arkansas and Missouri rivers. The Ozarks, which rise from the surrounding plains, are locally referred to as mountains. Composed of igneous rock overlain by limestone and dolomite, the ancient land form has been worn down by erosion. Summits (knobs) are found wherever there is a resistant rock outcrop; the Boston Mts. are the highest and most rugged section, with several peaks more than 2,000 ft (610 m) high. The Ozarks are rich in lead and zinc, and fruit-growing areas are prevalent. Subsistence farming and household crafts are found in the more isolated regions. The Ozarks have several large lakes that were created by dams across the White and Black rivers; the dams generate electricity. 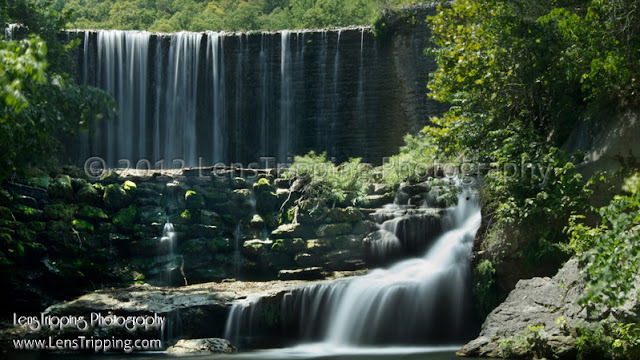 The scenic Ozarks, with forests, streams, and mineral springs, are a popular tourist region, and the construction of summer homes there has grown. 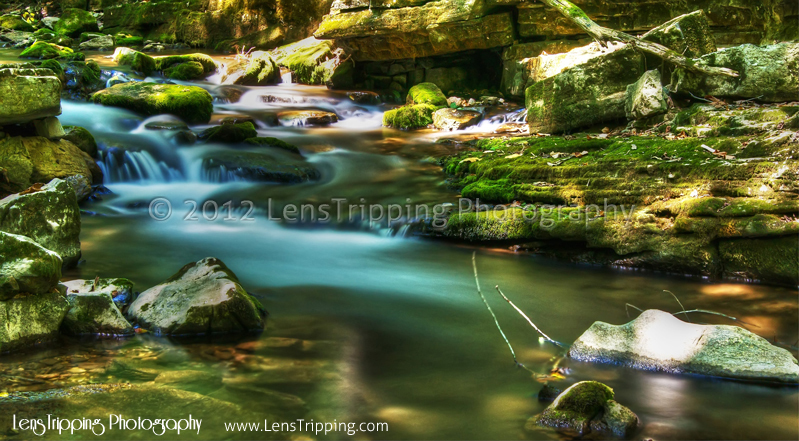 Blanchard Springs is located in the Ozark National Forest. Most of the perennial springs in Arkansas with the largest flows are located in the Ozark Plateaus region. With an average flow about 150,000 GPM, Mammoth Spring in Fulton County has the largest yield of any spring in the state. Blanchard Springs can have a flow up to about 103,000 GPM depending on rainfall amounts. Blanchard Springs Caverns is a three-level cave system, two of which are open for guided tours. The Dripstone Trail runs through the upper level of the caverns. The Discovery Trail on the second level opened in 1977 and runs through the middle of the cavern. Also offered is a "Wild Cave" tour which allows access to undeveloped parts of the cave to more adventurous visitors. The temperature is a constant, year-round 58°F (14°C). The limestone rock from which the caves and their formations developed was laid down in an ancient sea more than 350 million years ago. It remains a "living" cave in part because of the care given by visitors and the United States Forest Service. Living caves are ones in which slow metamorphosis due to minerals deposited by seeping and dripping water is still in process. These are just too pretty for words. By the way...Jewell has several web sites that carry her photographs. And last but not least...one more thing that Jewell and I have in common. Pictures of Old Mills. She takes them and I adore the pictures she takes. How could you not love these reminders of a different time...sitting quietly unused for years.. 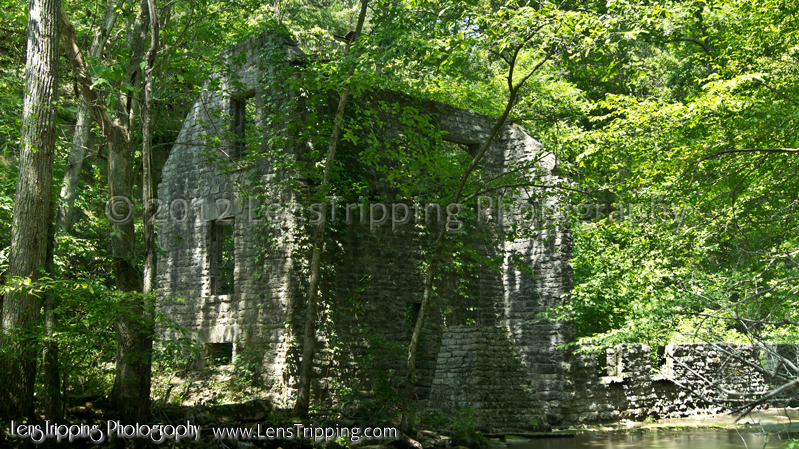 This old mill has lost it's wheel and stands alone in it's solitary decay. Here is a poem to go with the old mill picture. To watch the scene below. Where first the daisies sprung. Those words are from "When You and I Were Young, Maggie", written as a poem by George W. Johnson, a Canadian, for his fiancee, Margaret "Maggie" Clark in 1820. George was a school teacher and Maggie was his pupil. They fell in love and became engaged but she contracted tuberculosis. Shortly after they married, Maggie passed away. Thanks for the armchair vacation. I particularly like the cavern shots. So eerie and wondrous. 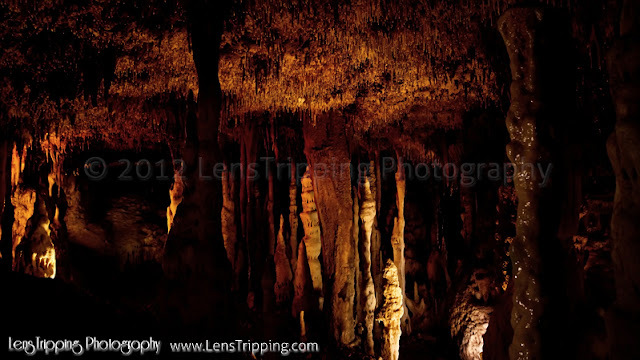 Arkansas is rampant with caves and springs but Blanchard Springs Caverns are really something to see. Beautiful pictures! That is so interesting about some caves being alive and continuing to evolve. I agree. The fact that the stalagmites and stalactites continue to grow is amazing. I think tours through caves are so interesting. I have never seen anything like this...very interesting. I am tucking this information away...we will get there some day...looks fascinating, really. thanks for this information!! 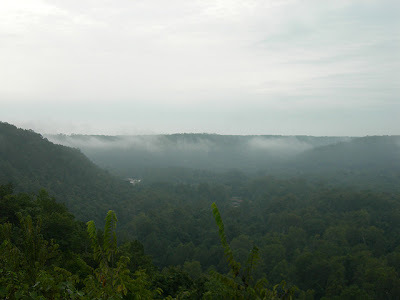 The Ozark area is just beautiful, which in part, I guess is why Branson, MO has become such a commercial tourist area. 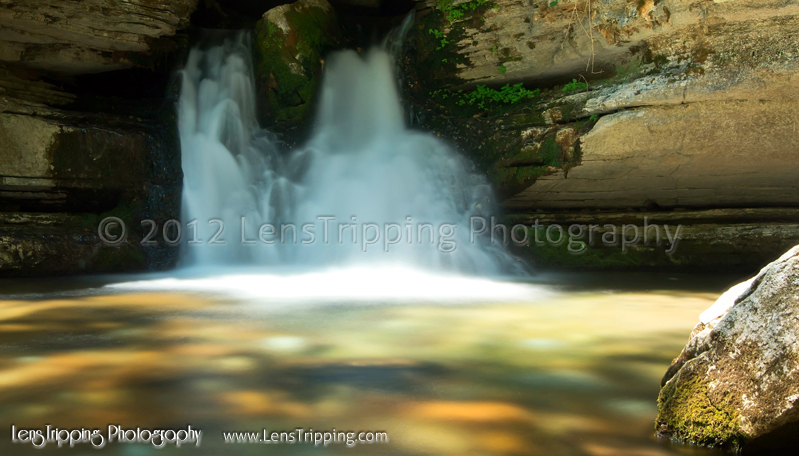 I think there are plenty of beautiful areas in northern Arkansas such as Blanchard Springs or Mammoth Springs. Of course, there are lovely mountains such as the Smokey Mnts. and the Appalachians as well. *gasp* Those pictures are too beautiful for words! OHHH, I want to go there! It is so pretty around that area. I love the lower mountain ranges like the Smokey Mountains or the Appalachian Mountains. Truly beautiful. Oh, I should mention that you can see a lot of cool pictures of that area over at Julie's website. 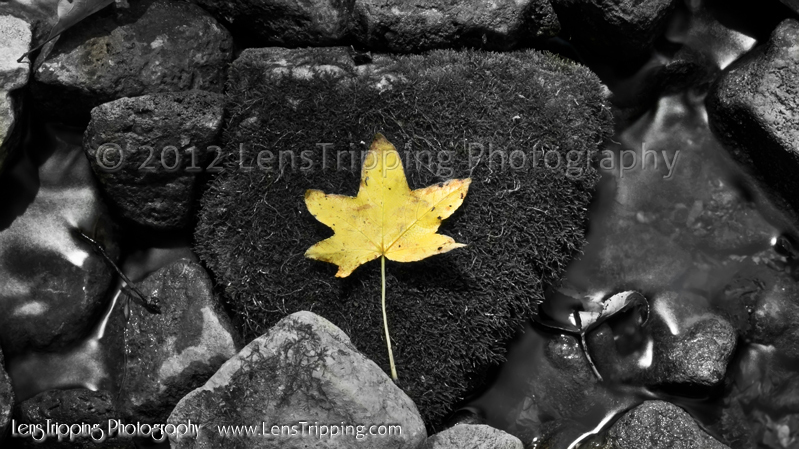 Lenstripping Photography. She has some spectacular pictures of springs and other old mills.